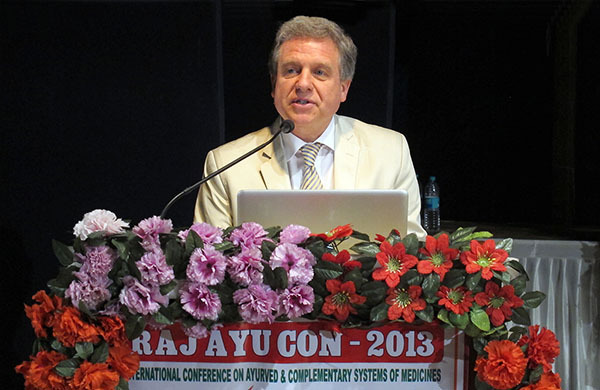 Lothar Pirc, founder and managing director of the Maharishi Ayurveda Health Centre in Bad Ems, Germany, was an inaugural speaker at the 2013 RajAyuCon, an international conference on Ayurveda* and complementary systems of medicines. 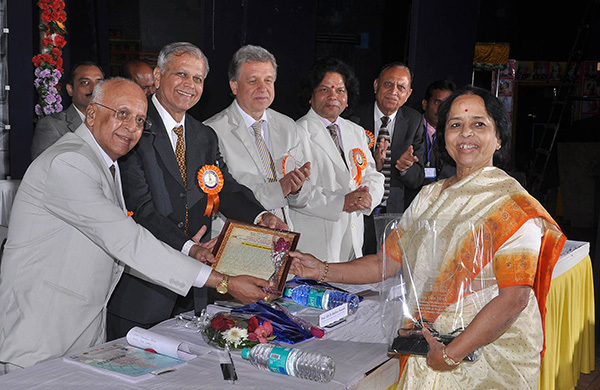 The conference was held in Gujarat, India, in collaboration with the renowned Gujarat Ayurveda University. 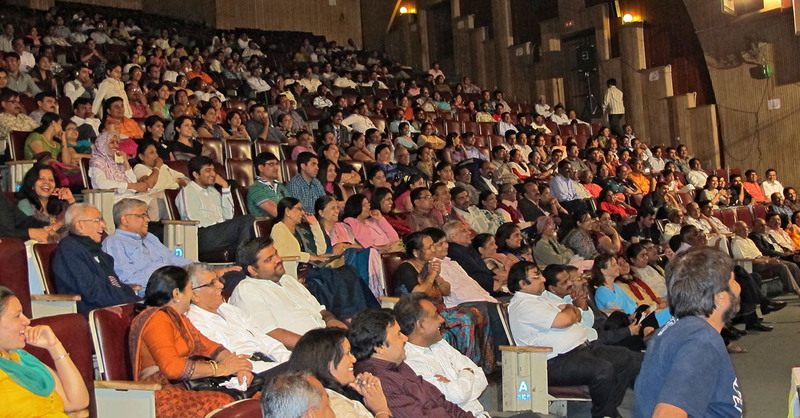 According to the conference organizers, the aim was ‚to bring together researchers, teachers, practitioners, manufacturers, cultivators, traders of Ayurveda and other systems of medicines on a common and popular platform for propagating Ayurveda and complementary systems of medicines, as well as traditional medical sciences‘. Dr. phil. Karin Pirc, co-founder and medical director of the Bad Ems Maharishi Ayurveda Health Centre, who has treated 20,000 patients there with Panchakarma, a central detoxification and rejuvenation therapy of Ayurveda. Dr. Girish Momaya, Director of Maharishi Vedic University, Netherlands, who inspired the Indian professors and Vaidyas (Ayurveda physicians) with Maharishi Mahesh Yogi’s immeasurable contributions to the rise of Ayurveda in the world, and creating a disease-free society through Maharishi’s Vedic Science and Consciousness-Based technologies. 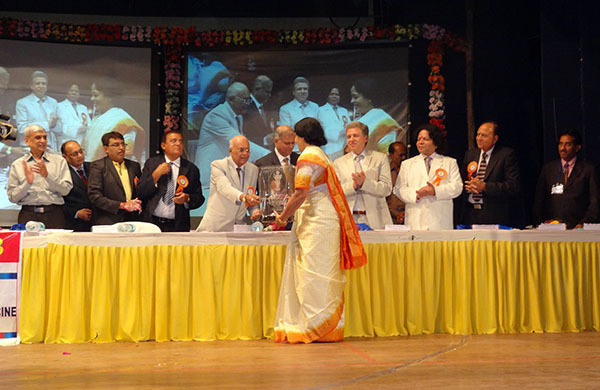 All three speakers were featured prominently at the conference and spoke to about 450 participants, including scientists, students, and Ayurveda scholars from all over India and from other countries. The conference began by honouring Raj Vaidya Brihaspati Dev Triguna, world renowned expert in Ayurvedic medicine, considered the foremost authority in Nadivigyan, pulse diagnosis. An esteemed founding member of the Maharishi Ayurveda Council of Vaidyas, Dr Triguna worked closely with Maharishi over many years on restoring the complete, authentic knowledge and practice of Ayurveda.